I hate shopping for …. Wait, there is one exception…. gym clothes! I could actually shop for gym clothes all day! I hate shopping for clothes that are suppose to represent my class and age. I am 29 so I believe that means I was supposed to exit and never return to the juniors section a loooooooooooong time ago. The thing is the ladies department screams OLD LADY to ME! (no offense) So because of this dilemma I decided to shop clothing boutiques for the past couple of years in hopes that I find something that is cute and fashionable. My every day attire can consist of running shorts and an ADIDAS shirt for all I care. Todays mission: Locate a nice top for the pair of MISS ME jeans hanging up in my closest. Sounds simple, right!? You have never shopped with me! That is what I thought too! I was going to run my errands, grab a top, and then enjoy the rest of my time while the kids were in school brain storming and writing. I make it in to the boutique and browse around. I see a whole lot of nothing that is really just catching my eye. I finally come out of my shell and start throwing things over my arm while making my way to the fitting room. I am taking my time examining each blouse that I try on in the dim light dressing booth. After about 5 different tops and dresses, I decide that the leopard print top is cute, fun, hip, young, and will look great with some rose gold jewelry and my black high heals. I make my purchase and head off to search for the perfect rose gold jewelry to accessorize my ensemble. Boutique jewelry is like a gillion dollars so I end up at the clearance section in Bealls! I am pleasantly surprised to see a variety of cute shirts hanging in the OLD LADY department. I stop to try them on. It must be my lucky day, because the cute top in the old lady department fits like a glove. Too bad this isn’t dress up attire! I ended up trying on quite a bit of clothes. This really isn’t my fault it is due to my adult ADHD, OCD to try things on in this particular store, and freedom with out my 5-year-old driving me bonkers asking for everything in the little girls department. I am very picky when it comes to pretty much everything, so after a good hour, I finally find my hodge podge rose gold jewelry set that I pieced together. I remember that self-control is a fruit of the Spirit, deny myself the pleasure of over spending, and put the shirt back in its spot; check out, and go next door to grab lunch. I feed my starving stomach and then decided it is time to marvel at the spectacular outfit I created his morning. My MASTERPIECE! I begin to start trying on my new leopard top, jeans, heals, and jewelry………..and…………………I……………HATE IT! Ugh……maybe it needs to be tucked in? hmm..No maybe it’s my slopped on make up from the morning rush to get out the door this morning that is throwing me off? I place my Hair up, then let it fall down……nope, nope, nope! The top just does not fit my torso right. The colors of the print do not complement my skin tones. I feel defeated! I spaze, look at the clock and the remaining minuets of freedom to shop alone, jump in my car and hit the shops back up to return my merchandise. Yes I am one of those who takes full advantage of the refund policy if I am not 100 percent satisfied with my merchandise. I couldn’t help but to pause and be thankful that such policies exist for women who change their minds! I mean it’s kind of what we are known for! I can’t receive a cash back refund at the local boutique so I decide it would be best to take another look and start the whole trying on process again. With the help of the sweet girl working today, I finally find something that definitely looks more like me! I check out, jump back into my car and glance at the time. My little shopping adventure monopolized my whole day! It’s time to pick up my littles from school! My five-year old daughter giggles in the back seat as I explain to her all the fuss of shopping and then getting home and not being happy with my ugly clothes. She insists that I show her what I bought when we arrive home. 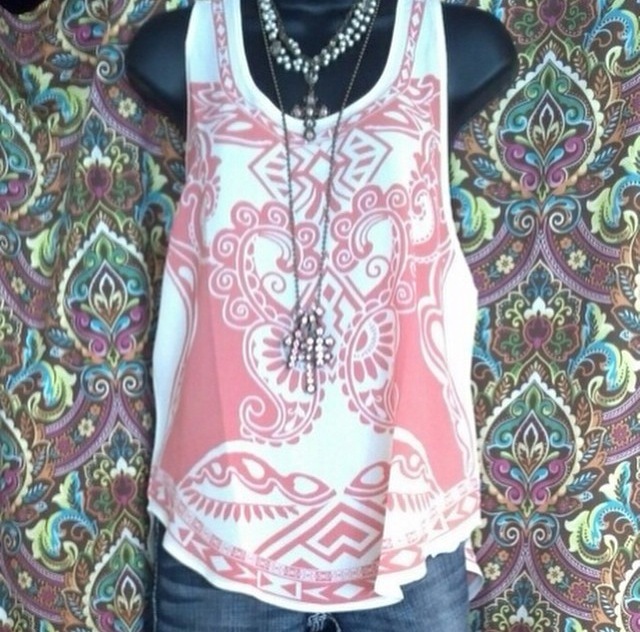 She leaps into my closet and I gather the top and the cute boho vest to go with. She approves and awes over how cute she thinks it is! Maybe next time I should just take her and let her pick my outfit out! All this mess over one, yes ONE piece of clothing! Are you as picky as me when it comes to your clothes? What are some of your favorite go to shopping stores?